Of these three habitat needs, we know very little about bumble bee nesting requirements. 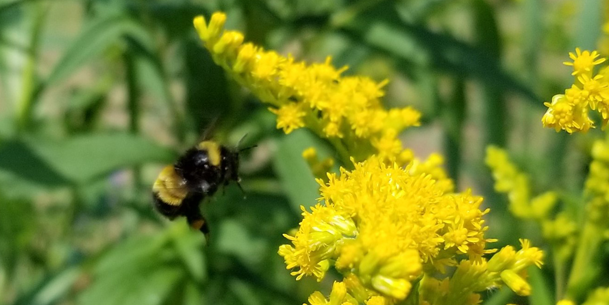 Bumble Bee Watchers already provide valuable insight into the needs of bumble bees by submitting observations of bumble bees and also observations of nest sites on Bumble Bee Watch . However, nests can be cryptic, often tucked into grass tussocks or in old rodent burrows, and therefore are rarely documented. Researchers at York University have endeavored to learn more about this missing link. 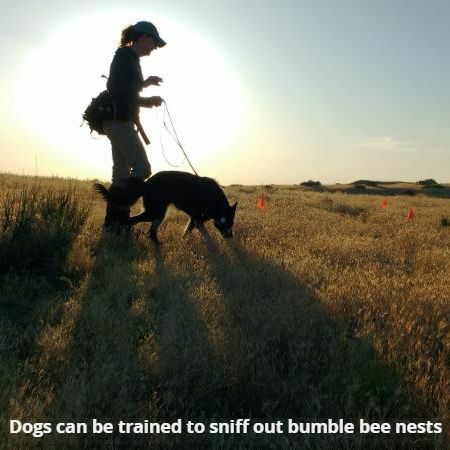 To do this, they are enlisting the help of volunteers to document nest sites, as well as detection dogs, which will be trained to sniff out nests. 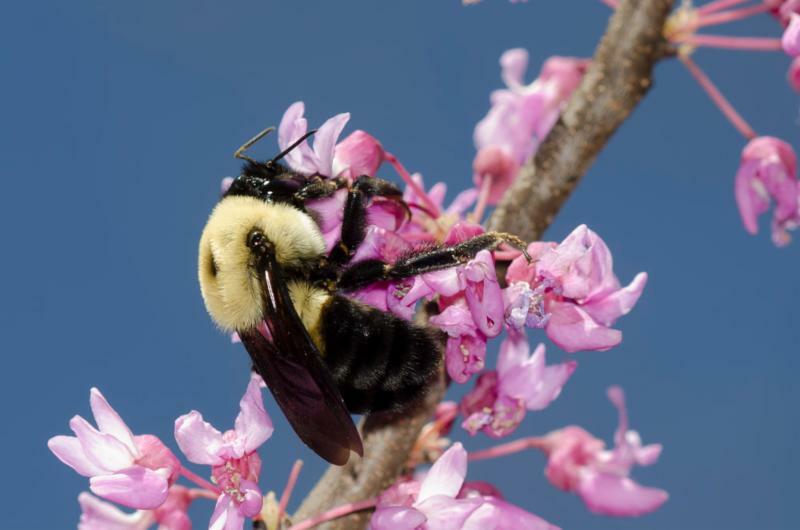 Spring has sprung, and you know what that means: bumble bee sightings! We are eager to see and hear about your newest sightings, so please make sure to submit to Bumble Bee Watch . Banner photo: the yellow-banded bumble bee ( Bombus terricola) by Victoria McPhail / York University. Side photo, top: Alice and Tia, her trained dog, by Amanda Liczner / York University. Side photo, bottom: the brown-belted bumble bee ( Bombus griseocollis) by Bryan E. Reynolds. Copyright © 2019 The Xerces Society. All rights reserved.